Back on the market! Buyer financing fell through! Great opportunity to own this amazing 2,381 sq. 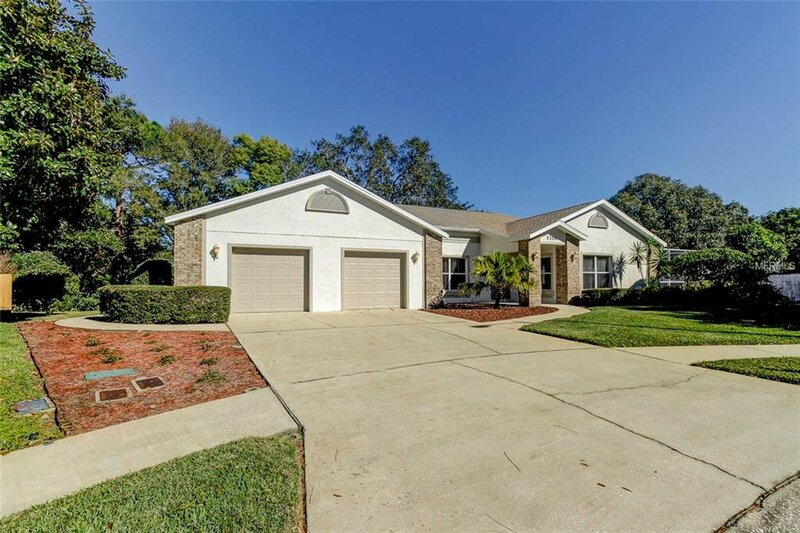 ft. pool home with 3 bedrooms, 2 baths, and an oversized 870 sq. ft. 2 car garage for additional space and storage. Located in the very desirable and upscale Oakleaf Village subdivision in a non evacuation zone - no flood insurance required! Great commuter location, and near golf courses, shopping, and historic Sponge Docks. Over 1/3 acre very private landscaped lot on a cul-de-sac. Features 12x40 pool with a 56x20 cage. 16 Seer A/C installed in 2011. New roof with 25 year transferable warranty, water softener, and so much more! Waiting for your finishing touches! Listing courtesy of COLDWELL BANKER RESIDENTIAL. Selling Office: FLORIDAS BEST HOMES REALTY LLC.